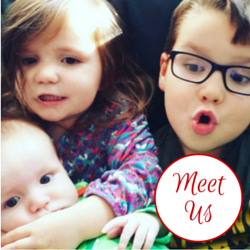 LM loves Peppa Pig and, over the past couple of years we've amassed quite a collection of toys featuring her favourite little pig and her friends. I'm always keen to see ways to vary her interest in the character and toys that expand upon how she plays with them into different learning areas are very attractive. 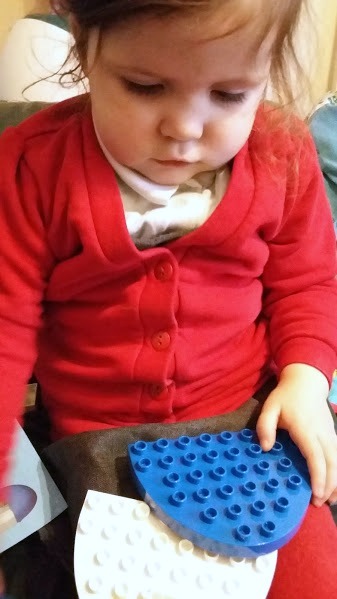 Recently she was sent a toy from the Peppa Pig Construction range which marries familiar large construction blocks with authentic Peppa Pig characters and their surroundings. I knew it would be a hit and I wasn't wrong! 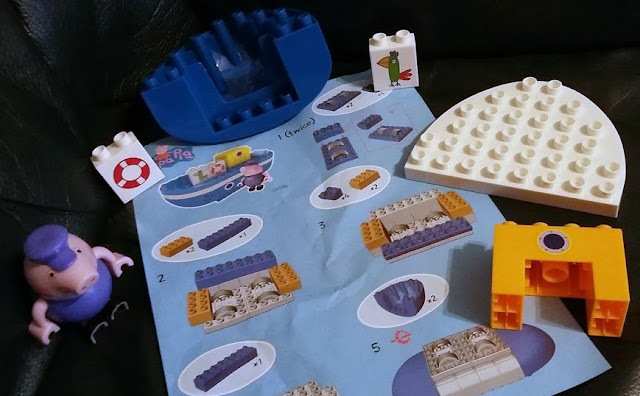 The Peppa Pig Construction range is made up of large blocks which build together in a way that is familiar, and compatible with other early construction blocks. The range includes vehicles, houses and other sets, all of which are clear representations of the Peppa Pig universe. LM received Grandpa Pig's Boat to build and she was so excited to see it. The set has more than thirty blocks which are in a mixture of colours - blue, yellow and white. There is a sheet of stickers to personalise the blocks and a poseable Grandpa Pig figure too. The instruction sheet follows the usual style for construction sets and was easy to follow. There aren't specific instructions for where to put the stickers so I was led by LM when we were choosing where to place them. 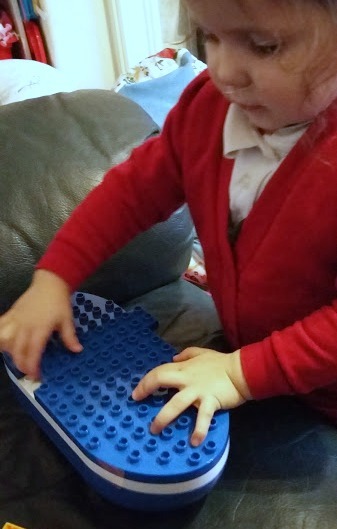 The blocks are simple to put together and LM was able to do this confidently, with a little help from Mummy in following the instructions. I think, as she becomes more and more familiar with the toy she will be able to build it by herself. Bud, of course, got in on the act, and he was happy to build it alone and with his little sister. The set is recommended for age 18 months and over and I would say that this is spot on, with the proviso that the lower end of the range would need supervision and help to finish the model. Once built this is a model to be played with. The bottom of the boat has wheels so it can be rolled along the floor and Grandpa Pig can be placed on his boat and taken off again. LM seems to quite enjoy making the boat 'sink' and it's fun to watch her recreate scenes from the show with the boat. 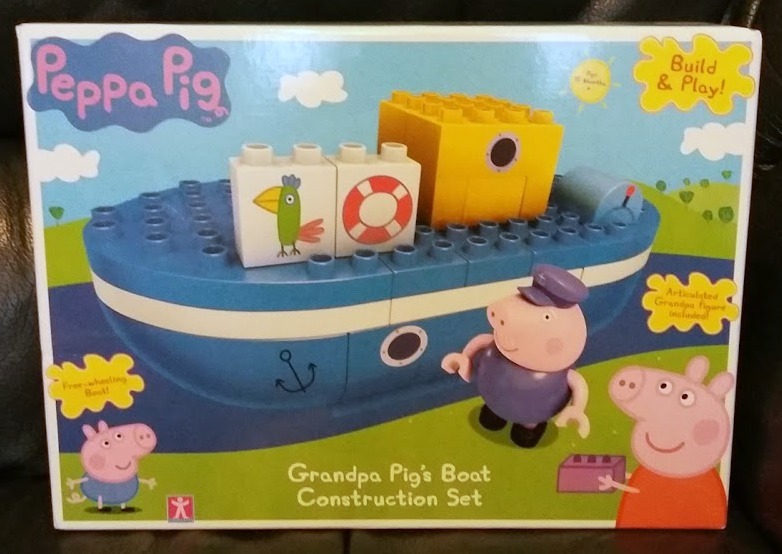 Grandpa Pig's Boat, Peppa Pig Construction is available from all usual stockists with an RRP of £19:99. Toy received for review purposes.